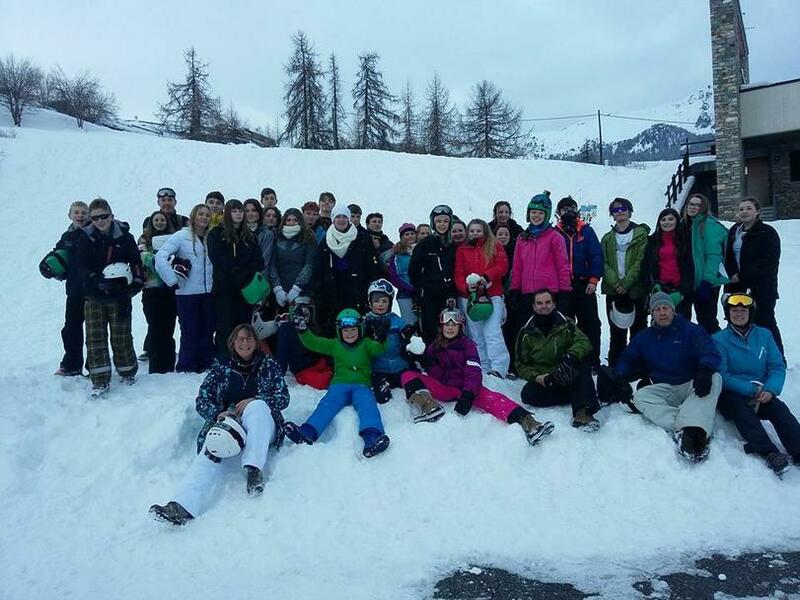 Holsworthy Community College took 35 boys and girls aged from 12 – 16, accompanied by 4 members of staff to the Aosta Valley Skiing and Snowboarding in the February Half Term, travelling with Interski. After a 24-hour coach journey and boots, skis and snowboards sorted, everyone arrived at the Hotel Bellevue for a late lunch and to settle in before the fun started Monday morning. The weather was warm with mainly bright blue cloudless skies which made for ideal skiing conditions, which showed at the end of the week when all students were awarded their certificates by the instructors. Lots had funny stories to tell including one about Theo who spent most of his time trying to overtake the instructor or doing 360s downhill. This was my first time skiing and as a leader on a residential trip with HCC, and I can honestly say that the students were amazing and were a real credit to Holsworthy Community College. We had lots of laughs with lots of falling over, but everyone had a fantastic time. Roll on the next ski trip! “Everyone enjoyed the trip loads. The views were amazing and there was snow everywhere. The journey there took around a day, but was worth it when we got there. All the instructors were really nice and spoke fluent English. There were a variety of slopes from small blue runs for beginners to towering blacks for more advanced skiers. The people at the hotel were lovely and spoke surprisingly good English. “The ski trip 2017 was a huge success. Every student that went came back with a smile on their face and loads of stories. Pila Aosta was a brilliant resort with plenty of snow for skiing and maybe the occasional snowball fight! The weather was in our favour as the sun shone brightly every day and surprisingly the temperature was extremely warm. The pros were off in seconds whizzing down the red runs (harder slopes) while the newbies learnt the basics like how to STOP! That took a bit of time, but as soon as we could stop, we were off. The instructors were amazing and made the experience so much fun.